Volkswagen has been systematically fixing its diesel cars to be clean during vehicle testing in the United States and then pollute more heavily when on the road. This allowed its vehicles to pass rigorous emissions tests, giving customers maximum driving performance at the cost of the environment and our health. Diesel exhaust fumes are a group one carcinogen, meaning they can cause cancer in humans. So covering them up is a serious offence. In the US, this can result in fines of up to $US18 billion. It’s unclear whether the cheating has occurred in Australia, but Volkswagen’s head said 11 million cars could be affected worldwide including popular models such as the Golf and Beetle, which are popular in Australia. There’s also the potential that other manufacturers have been using the same dirty trick, and there are Australian firms that blatantly advertise removing anti-pollution devices in order to improve performance. Levels of air pollution are mostly controlled by government policy, so government action is what’s needed here. Diesel exhaust fumes are a known cause of lung cancer and may cause bladder cancer. Burning diesel creates large amounts of particulate matter air pollution including small particles of less 2.5 micrometers (known as PM2.5). The Clean Air Scientific Advisory Committee, set up by the US Environmental Protection Agency (EPA, which is leading the investigation into VW), concluded that short- and long-term exposure to PM2.5 could cause death and cardiovascular harm (by increasing the risk of strokes and heart attacks) and was likely to cause respiratory harms such as asthma. there is a close, quantitative relationship between exposure to high concentrations of small particulates and increased mortality or morbidity. Diesel exhausts also pollute the air with nitrogen oxides (NOx), and this is a known cause of respiratory and cardiovascular disease. The on-road VW tests in the US found that NOx pollution levels were 15 to 35 times higher than the legal limit. With so many cars creating so much more pollution there will have been health effects. It’s hard to say exactly how many more hospitalisations and deaths without more data, but the US EPA may attempt to quantify this as part of any legal case. 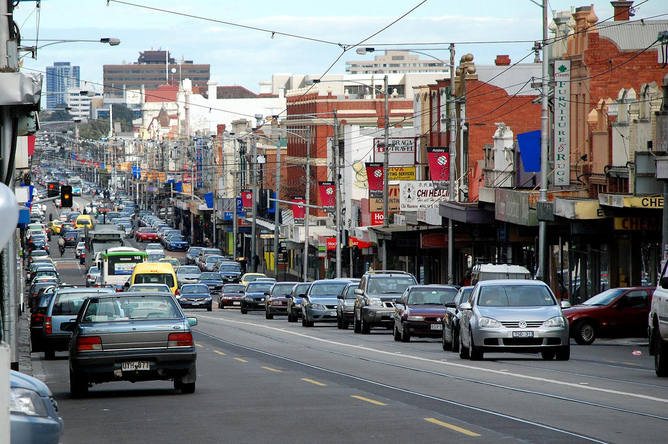 Urban Australians’ main exposure to poor quality air is due to traffic pollution. There are a range of options Australian governments could take to reduce the harm of diesel exhaust fumes. First, it seems prudent to see whether there’s a problem in Australia with new vehicles rorting pollution controls. This could be achieved by random on-road testing. A bit like random breath testing of drivers, this would tests the car’s fitness to drive. Random tests would inconvenience a small number of people and testing two to three hundred diesel vehicles would make it clear if there was a big problem. It would be relatively low cost, but would need technical experts as well as the help of the police. Next, we could introduce more systematic testing, such as adding a vehicle emission test to the roadworthy certificate needed to sell a car. Alternatively, all in-use vehicles could be subject to an annual or bi-annual test of vehicle emissions by state transport departments. This already happens in California and the United Kingdom and if a vehicle fails the test it can’t be driven or sold. This is a higher cost option but would likely provide better compliance across the vehicle fleet than random testing. Australia does have emissions standards for in-use cars, but they are not enforced to the same extent as those overseas. Testing here could be targeted towards those vehicles that cause the greatest harm, and the obvious target is diesel vehicles in urban areas. Diesel emissions have improved markedly in recent years, and diesel has a green image because of the better mileage, but their air pollution scorecard is still worse than the typical petrol vehicles. This is probably why VW fixed its diesel emission levels. Diesel cars and trucks produce more nitrogen oxides and particulate matter pollution, which are particularly damaging to health. Our previous research showed that when the price of diesel fell in Brisbane there was an increase in air pollution across the city likely driven by increased use, whereas there was no increase in air pollution for cheaper petrol. Ideally, there would be no diesel vehicles in urban areas except for people who truly needed them for work. The mayors of Paris and London have both expressed a desire to rid their cities of diesel vehicles. The main source of exposure to poor quality air for many city-dwelling Australians is traffic pollution. Cleaning the air by increasing the number of cleaner vehicles has the potential to greatly improve health, including reducing asthma admissions to hospital, reducing strokes and even deaths. Norway, for instance, has dramatically increased the number of clean electric vehicles by lowering taxes and providing free parking and road tolls. Having more dirty diesel vehicles on the road is about the worst thing that could happen in Australian cities. VW has a lot of questions to answer.